Let your love be captured by this exquisite diamond bracelet, featuring princess cut diamonds that exude a much more modern feeling. Princess cut diamonds are noted for their square shape and break away from round brilliant diamonds that are more commonly used. 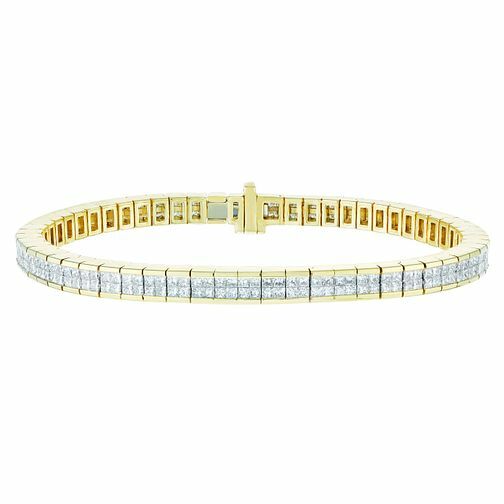 Made from 9ct Yellow Gold, the diamonds are held in a channel setting, with the total weight of all the diamonds combined at 5 carats.